4 Bedroom Semi Detached Cottage For Sale in Hayle for Asking Price £360,000. This property's price has dropped from £375,000 to Asking Price £360,000. OPEN HOUSE EVENT SPECIAL PRICE 27th-28th April. REDUCED from 375,000 for the EVENT DATES ONLY. Please call for details and VIEWINGSLarge four bedroom extended cottage with approx 1 acre of land. 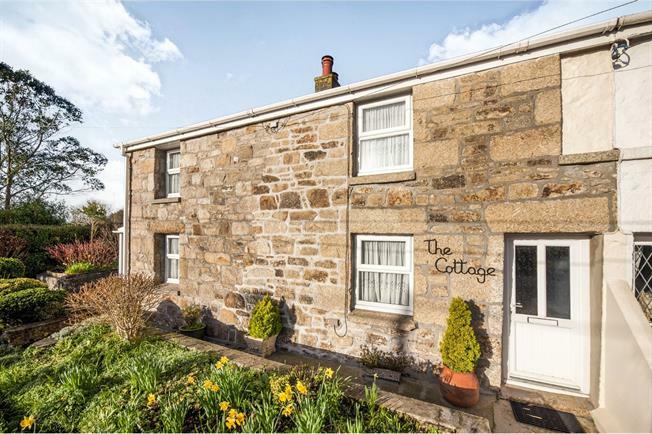 This wonderful extended cottage offers well proportioned accommodation comprising of two reception rooms, kitchen, large utility and conservatory. On the first floor you will find four bedrooms and bathroom. This property has beautiful mature gardens with approximately 1 acre of land, double garage and workshop with plentiful parking. The property also benefits from two greenhouses and a useful storage shed. Feature open fireplace Double glazed window to front. Radiator. French doors. UPVC double glazed construction. Radiator. Door leading to rear garden. Fitted units. Roll edge worksurfaces. Space for cooker. Extractor. Integrated fridge. Beamed ceiling. Stainless steel sink with mixer tap. Double glazed window. Space for washing machine. Space for fridge/freezer. Airing cupboard housing boiler. Radiator. Radiator. Ground floor cloakroom with WC. Shower enclosure. Wash hand basin. Feature open fireplace with stone surround. Double glazed window. Radiator. Beamed ceiling. Fitted with a modern suite comprising of panelled bath, basin and WC. Double glazed obscure window.